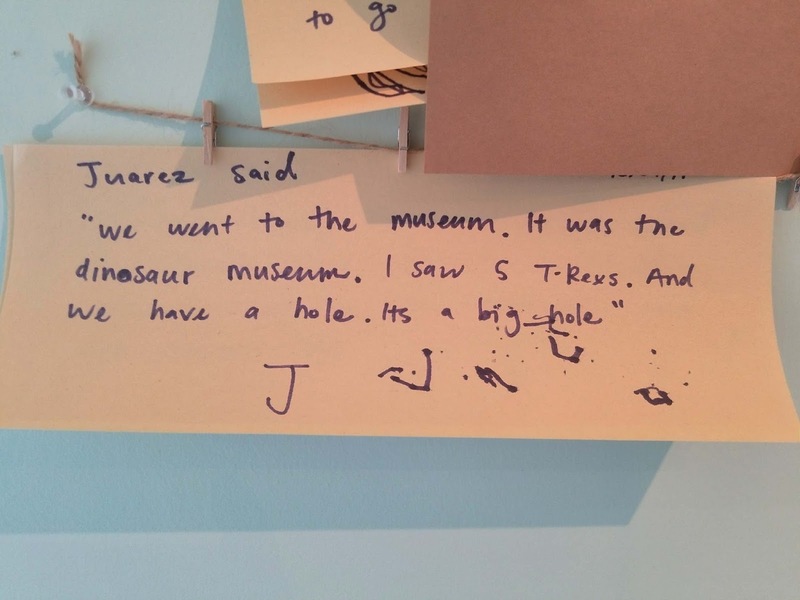 Juarez: "We went to the museaum. 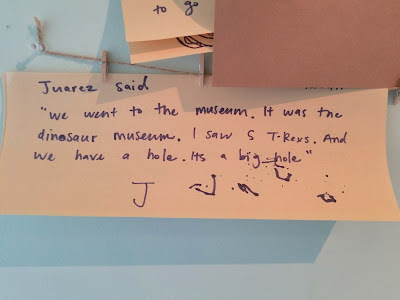 It was the dinosaur museum. I saw five T-Rexs. And we have a hole. It's a bit hole."